Looking to have an employee appreciation meal catered event? We have just the perfect setup for your employees to ensure they have a fantastic day at work. We are very experieced in providing all the details to have a memorialbe catered event for your employees. Whether you have 100 or 5,000 employees we can handle it all, providing tables, chairs and a Mobile DJ Truck we bring the atmosphere for an enjoyable event. We can do lunch, dinner, dessert, small plates, appetizers, snacks, second lunch, and even third lunch (those are real things at our office). Call us at (813) 802-9119 or contact us here. 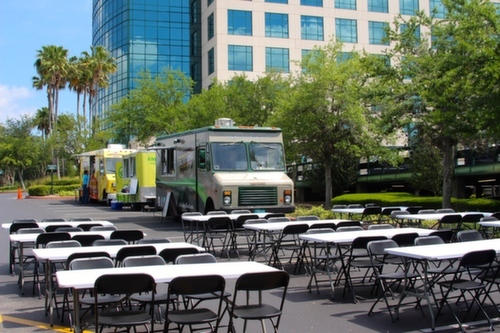 Do you have an upcoming event and not know if food truck catering is the best fit?